The original building on the property is the back house. It is one of the oldest buildings in downtown East Lansing. So old in fact, that at the time it was constructed the school across the street was named State Agricultural College. The main structure was originally built in the late 1800’s with a dirt floor and served as a carriage house for a larger home at the front of the property. 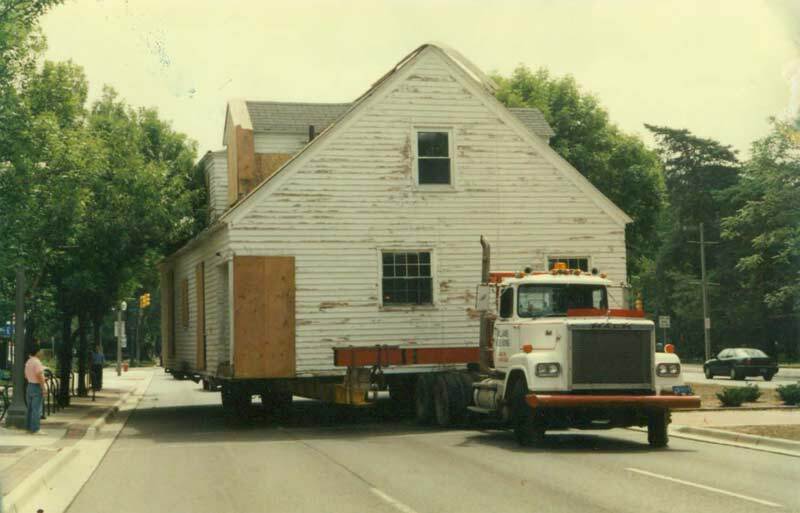 In 1920, a floor and plumbing were added and the carriage house became a home. It was first occupied by William Bartels, an engineer for the Lansing Board of Water and Light. As time passed, his family grew, and so did the home. First came the upstairs east dormer, then the west dormer, and finally the family room was added to the west side of the house. The carriage house was originally located directly on the back property line. Consequently, in 1936 Mr. Bartels constructed a basement and moved the house 30 feet north to its current location. The current owner/innkeeper, Al Bay, lived in the home as a student at Michigan State University and has been on the property ever since. Today this back house at our lodging in East Lansing, MI offers three guest rooms and is affectionately referred to as the Gosling. The main house at the front of the property, known in our community as The Wild Goose, has most of the inn’s common spaces and the original three guest rooms. 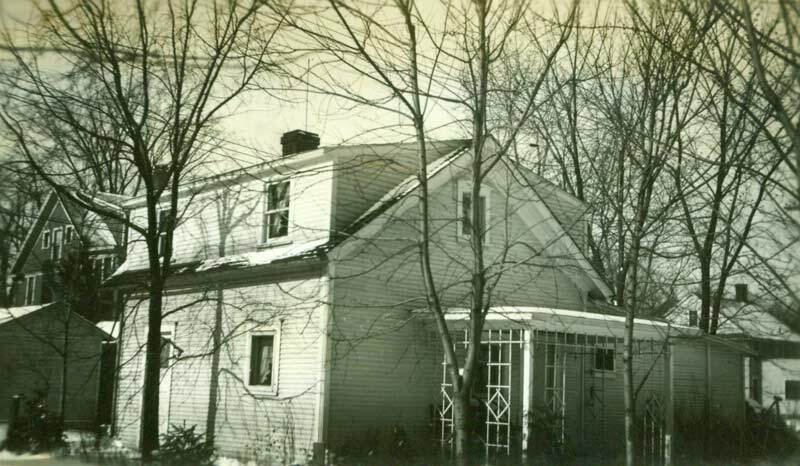 The house was built in 1936 as a farmhouse and was originally located two miles east of the inn at 2669 East Grand River Avenue in Meridian Township (next to Denny’s Restaurant). 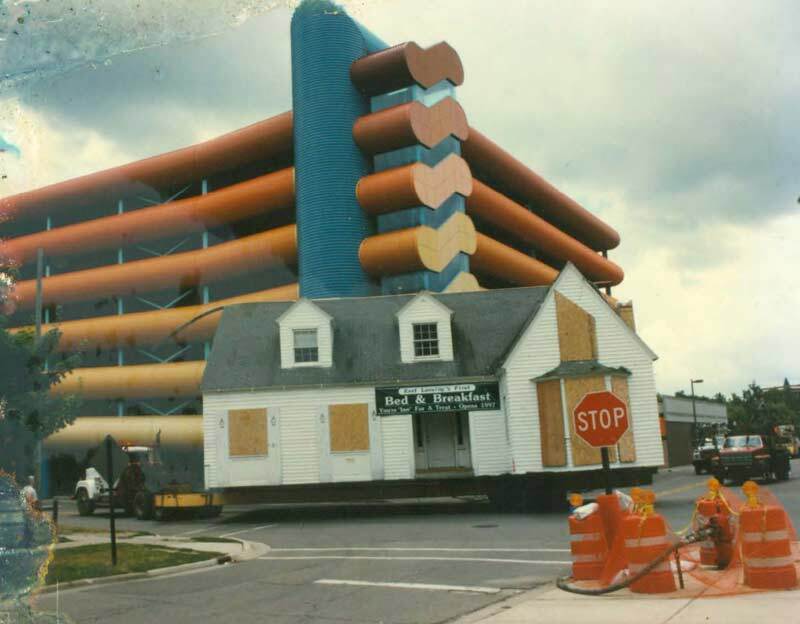 In the late 1990’s, the Goose “flew the coop”, so to speak, and was moved to its current location with the intention of becoming East Lansing’s first and only Bed and Breakfast, the “Wild Goose Inn”. The fence surrounding the front and east side of the property is the repurposed Kalamazoo Street Bridge and in a former time spanned the Red Cedar River. So finally, another causality dilemma has a solution! In a nutshell (or an egg shell if you like), when someone asks you what came first, the Goose or the Gosling? You can tell them with confidence, the Gosling was here first, but the Goose opened first. 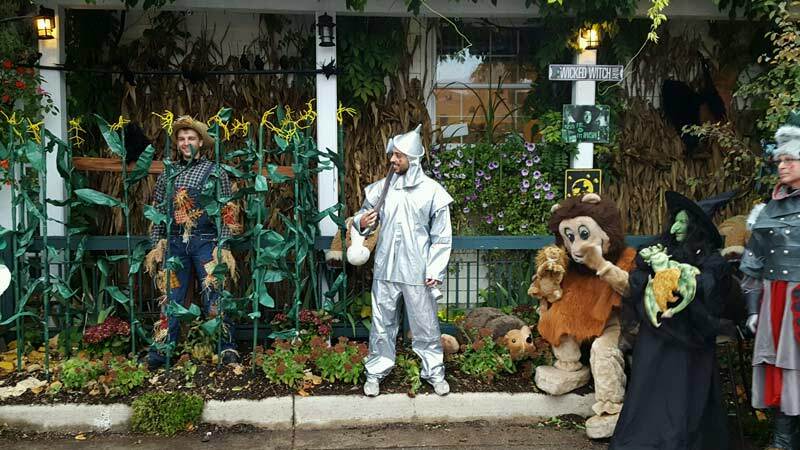 Always on a date a few days before Halloween in Downtown East Lansing (5PM – 7PM); as part of the Great Pumpkin Walk, the Wild Goose Inn hosts the “Land of Oz” event each year. With the assistance of costumed characters and a wizard, the “Goose” is transformed into the colorful, enchanting “Land of Oz”.